Manila has recently wrapped up the biggest gastronomy experience, Madrid Fusión Manila 2017, Towards a Sustainable Gastronomic Planet. On it´s third year, this foodie event showcased not only culinary tourism but also farm and argi-tourism models. 2017 focused more on exploration of the transformation of sustainable gastronomy. And at the same time enhancing the cultural traditions and environmental limits. Since 2015, Philippine cuisine has gained traction not only on domestic market but the whole world is interested. An article from Condé Nast Traveler sited that Manila is attracting award-winning chefs, more so as a culinary destination. Chef Chele has been in the Philippines for six years. He owns Gallery Vask, where they serve indigenous ingredients with western twist. The restaurant was the only one in the Philippines that made it to the World´s 50 Best Restaurants in Asia list. ¨My role as a foreigner, I should translate anything that I find amazing to a western fusión for a global market,¨ further explained by Chef Chele during a press conference at the Madrid Fusión Manila 2017 Day 1. Together with Chef Chele were Chef Claud Tayag, a Kapampangan chef and restaurateur who´s advocating regional cuisine; Ms. Cheryl Tiu, an international journalist and media personality who writes mostly about travel and food; Ms. Clang Garcia, a tour operator, publisher and entrepreneur; Ms. Tina Decal, culinary tour operator; and Ms. Marilen Yaptangco, major tour operator in the Philippines. Traction wise, Ms. Cheryl Tiu was successful with her venture, Cross Cultures, then as a culinary tour operator Ms. Tina Decal has been getting good number of participants over the years for Kulinarya Tagala and of course Chef Claude´s world class Pampanga culinary experience by rsvp. Now as the Philippine cuisine get hyped up by these great set of panelists, the big question is, are we ready when the foodies of the world flock Manila? One great point was raised by Ms. Clang Garcia that she personally experienced when she was touring the country for her book. Also as cited by Ms. Marilen Yaptangco as a major tour operator in the country, culinary tourism in the Philippines is still on it´s early stages and would have a lot of improvements along the way. As the Philippine cuisine gets more attention from all over the world, Manila has to keep up to serve all tables for the up coming demand of culinary and gastronomy tours. We have arrived but not quite there yet. The food in our country is something that we could be proud of! But I think I prefer authentic Pinoy food than the fusion ones. However, if this will still benefit us, this would be a good step to take. Looks like a fun event! Food plays a significant role in promoting tourism to any place! 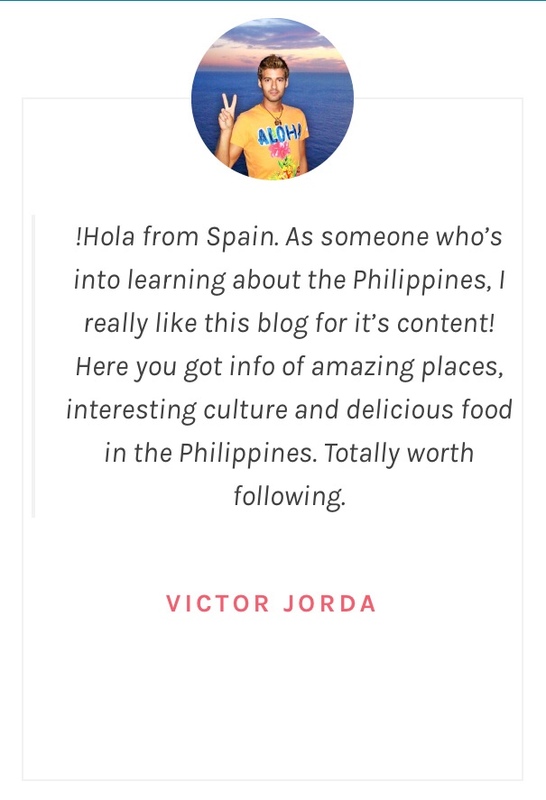 Though I’ve never explored Philipines food but would love to try it!